Have a pet but want a holiday? 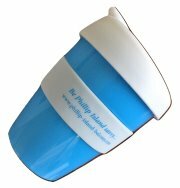 Well get down to pet friendly Phillip Island! Although the island attractions are mostly wildlife-related, there are quite a few pet friendly places to stay, to eat and to exercise your dog. It’s always best to talk to park management before you make a booking. 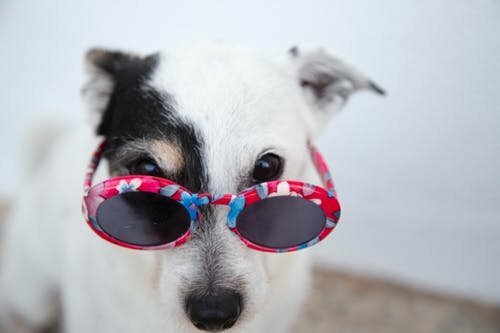 Most caravan parks that accept pets have some sort of restrictions – maybe the time of year or number of dogs. Plus pets need to be kept on leads and not left unattended and are not permitted to enter other units, or not in units at all. Again, talk to management first to clarify any issues so your stay is enjoyable for everyone. Cowes Foreshore Tourist Park in Cowes welcomes guests with pets in their pet-friendly cabin or in your own caravan. Amaroo Park has some small pet friendly camp sites. Amaze ‘n Things Holiday Park on Phillip Island Road permits pets on camping and van sites, not in cabins. Can’t leave your dog unattended at your accommodation but can’t take it with you? 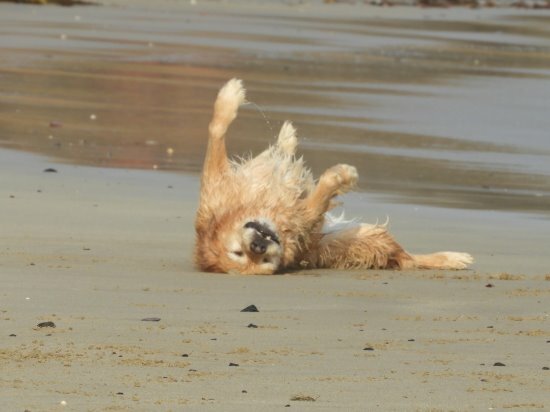 Phillip Island Kennels and Cattery on Cowes-Rhyll Road offers Doggy Day Care to help you out. Always carry vaccination cards just in case they are required. There are several pet friendly Phillip Island restaurants. Look for those which have outside eating areas such as Trumpet Bar, Gullivers or Isola di Capri. Always make sure pets are well behaved to ensure a pleasant dining experience for all diners. 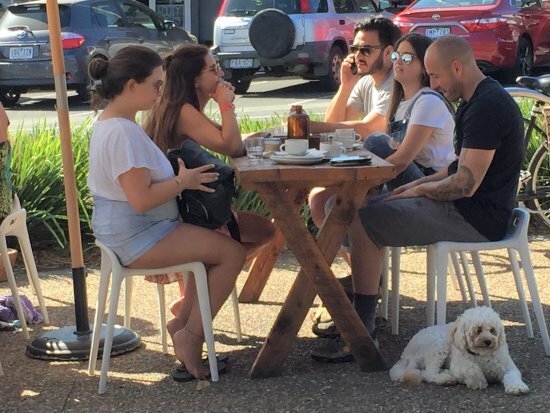 It’s easy to see all the dog friendly cafes on Phillip Island – just look for the water bowls along Thompson Avenue in Cowes plus along side streets. 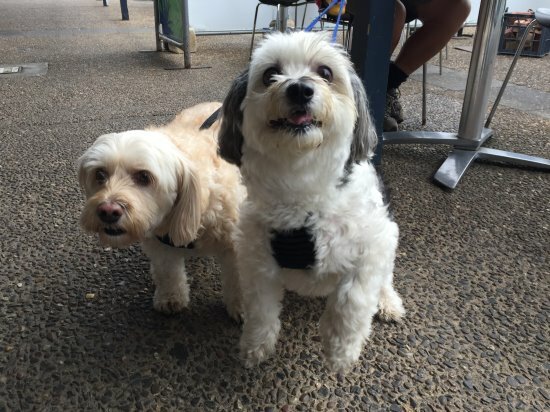 Pet friendly Phillip Island cafes include popular spots such as The Waterboy Café and Cheeky Goose Café in Chapel Street, plus G’Day Tiger and Kuta Café on Thompson Avenue. 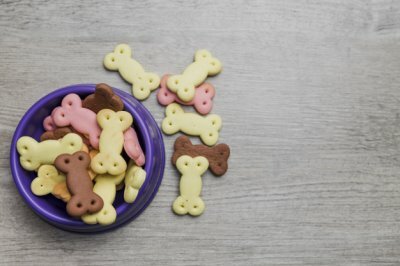 Another popular café is The Store at Ventnor – your pets will receive a warm welcome from the friendly resident dog! 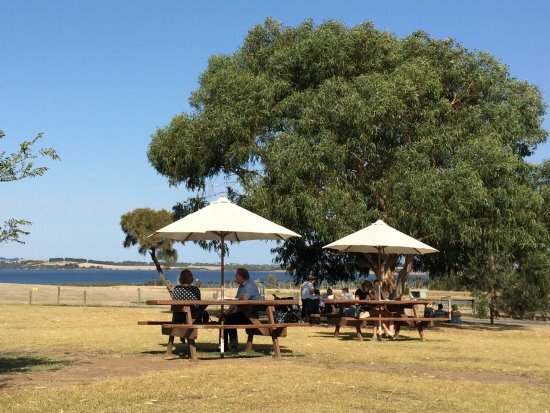 Both Purple Hen Winery and Phillip Island Winery welcome dogs on the lawn areas away from the restaurant and cellar door areas. Find a spot in the shade, select a wine and sit back and enjoy the ambience. 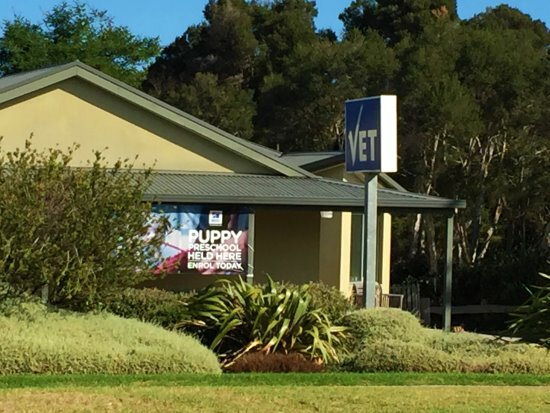 For peace of mind, there are two veterinary clinics on Phillip Island to care for any pet emergency. Cowes Veterinary Surgery – 2 Melissa Court, Cowes (Cnr Thompson Ave) - Open Monday to Friday 9.30-5.30pm, Saturday 9.30-11.00, Closed Sunday. Newhaven Veterinary Clinic – 42 Phillip Island Road, Newhaven - Monday to Friday 8.30 to 5.30pm, Saturday 9-12.30pm, Closed Sunday. To make your stay, and your pets, more comfortable, don’t forget to bring all your pets gear such as food, leash, water/food bowls, bed/bedding, plastic bags for picking up, towel to wipe down after a beach run, toys etc. 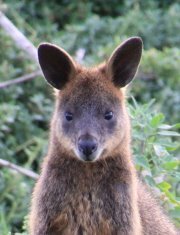 It’s important to remember that Phillip Island has a lot of areas where wildlife is protected. Dogs are not allowed in these areas – check the signs before you enter any beaches with dogs.